Neil Whatley is a rural development and agriculture specialist. He received a Bachelor of Science in crop science and agriculture extension from the University of Saskatchewan, Canada, and a Masters in rural sociology and empowerment-based adult learning from the University of Regina. Raised on a farm in Saskatchewan, he spent 10 years co-managing the family’s farm after high school. As a rural developer and production systems agronomist, he worked for 7 years using the Bahá’í-inspired Rural University methodology to facilitate agriculture and rural development with Indigenous farm families in Latin America. 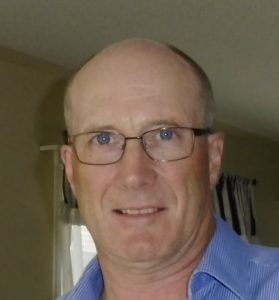 He currently works with the government of Alberta where he has spent 10 years assisting grain farmers with agronomic aspects of growing field crops. Having previously managed the Saskatchewan Pulse Growers’ farmer participatory research program, his main focus in his current work is promoting pulse (grain legume) crop production to support farmers with achieving more sustainable cropping systems.